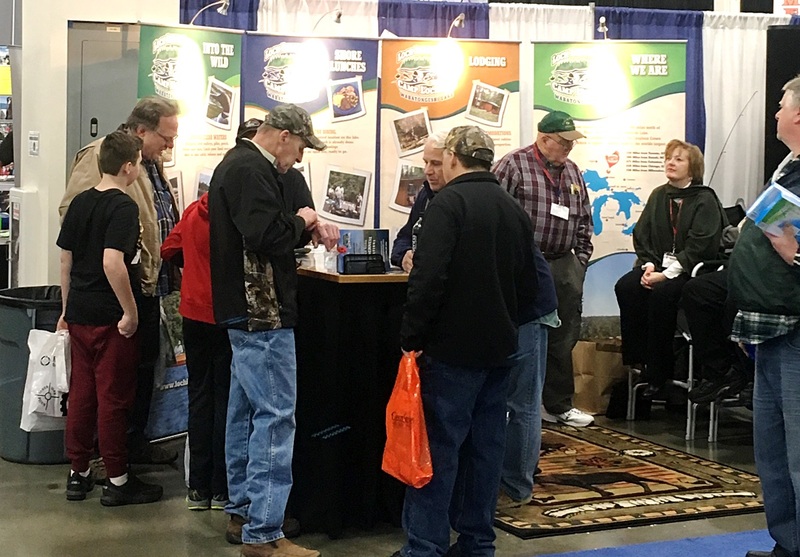 January 12, 2018 – Join us tonight til 8:00 (show is open til 9:00) and again this weekend at the Ultimate Fishing Show going on now at the Suburban Collection Showplace in Novi. We will be here until the show closes at 5pm on Sunday. With me in the booth, we’ve got Eric and Spencer from camp this past summer, and special thanks to frequent camp guests, Steve & Jeff Loehr, and Joon Hur for being here as well. Hear about staying at Loch Island Lodge and our cabins, fishing our great lake, and learn about the wilderness experience we offer. We’d love to see you if you come to the show. 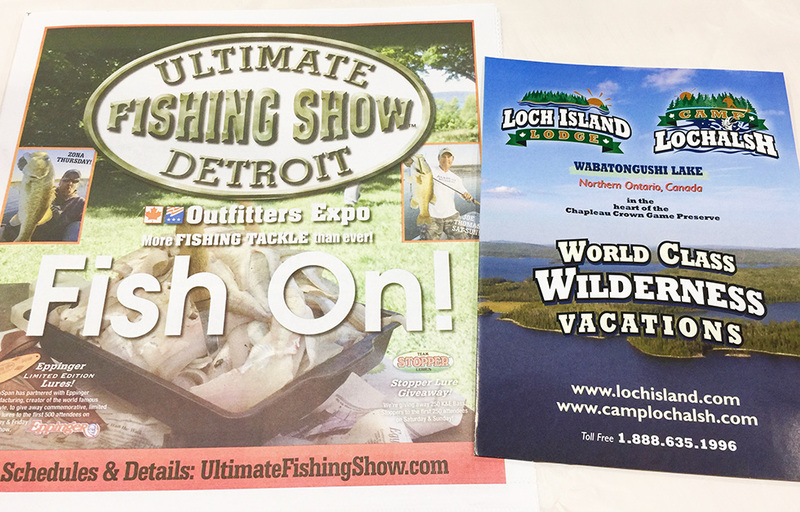 Stock up on tackle, view fishing seminars, and dream about spring! December 12, 2017 December 15, 2017 Andy Wilson5 Comments on Upcoming 2018 Sport Shows! Hard to believe, but it’s only a month away until we start our 2018 sport show season! Here is a list of the shows we’ll be exhibiting at this year. Be sure to stop by and say hello! We always love seeing you at the booth! Happy Thanksgiving from all of us at Loch Island Lodge / Camp Lochalsh! November 23, 2017 December 12, 2017 Andy WilsonLeave a comment on Happy Thanksgiving from all of us at Loch Island Lodge / Camp Lochalsh! Happy Thanksgiving all! Winter has descended upon Wabatongushi Lake. The wailing cry of loons has been replaced by lonely north winds, bringing in chilly temperatures and transforming our summer paradise into a frozen winter wonderland. Now is time to take a much needed break and enjoy some down time with family and friends. Soon we’ll be heading to the sport shows and then, shortly thereafter, we’ll be returning to the lake! So many new projects are planned for next summer! Stay tuned to find out just what we have up our sleeves. If you haven’t already made plans for your trip in 2018, get those dates together. We are filling up fast! Have a great Thanksgiving and upcoming holiday season!